We offer a 6-application program that will take care of all your weeds and provide the necessary nutrition to give you a beautiful lawn, guaranteed. These applications include a granular fertilizer, which is necessary to strengthen the root system of the grass as well as provide a deep green color. 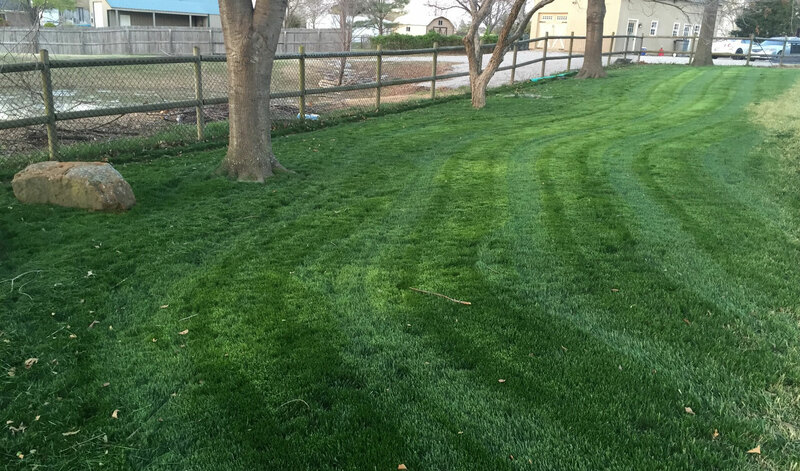 We use our own custom blend of fertilizer that will provide all the important nutrients needed for your lawn during the growing season. This application will include a pre- emergent herbicide to control winter annual weeds. This application will also include a post emergent herbicide that will eliminate any weeds present at the time of the application. Guaranteed, if you’re not satisfied we will continue to come out until you are! 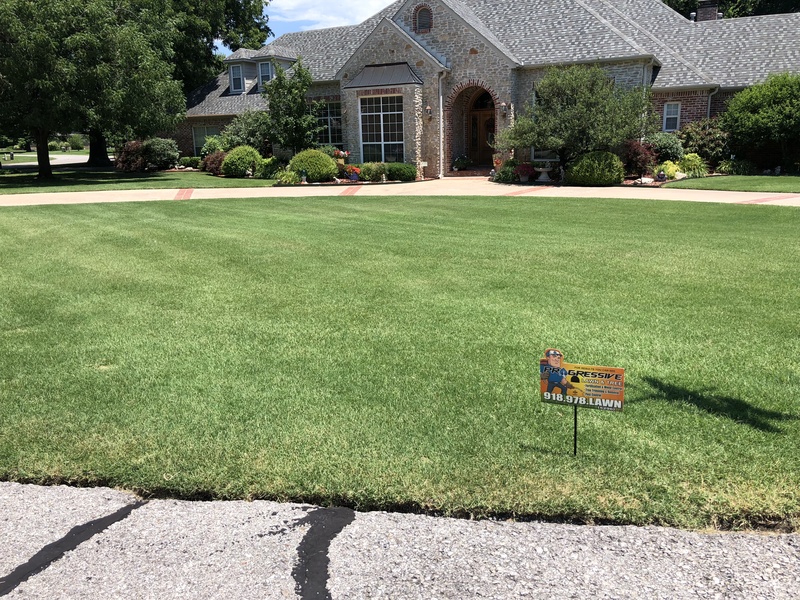 Over seeding is the process of sewing grass seed into a lawn that is thin or just plain dirt, this usually happens in Oklahoma in shaded areas where common bermudagrass is just not getting enough sun. Due to being in the transition zone most fescue grass will begin to die off around July and August and will need to be re seeded every year with fescue grass. Over seeding is best done in early fall, this gives the grass time to establish itself before winter, so usually around September 15th to October 15th or when the heat breaks. We will begin the process by aerating your lawn, this will poke thousands of little holes into the soil, this will basically be equivalent to tilling a garden before planting, making it much easier for the grass seed to establish itself. Next, we will use a premium seed that will deliver excellent results for our climate. This seeding will be done at the maximum rate to yield the absolute best results. Then we will apply a starter fertilizer to ensure the seed has the nutritional requirements to thrive a get good root development. What you will need to do… Water, water, water. Seed needs lots of water to germinate, water at least once a day but twice a day is preferred it does not need to be a lot just enough to keep the seed moist so it will begin to germinate. One the seed germinates back off the watering to about once every 3 days or so until the new grass becomes established. 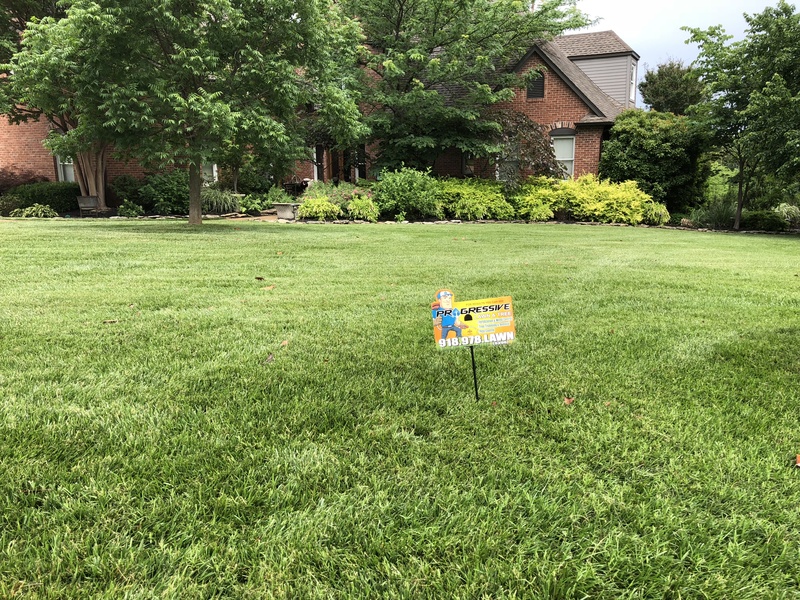 Lawn Aeration – Aeration helps to cut down on thatch buildup, alleviates soil compaction and root stress and provides a better growing environment for your turf. Aerating is one of the most important cultural practices and should be considered annually. Grub Preventative and/or Control – Depending on the time of year we can recommend preventative or curative grub control. 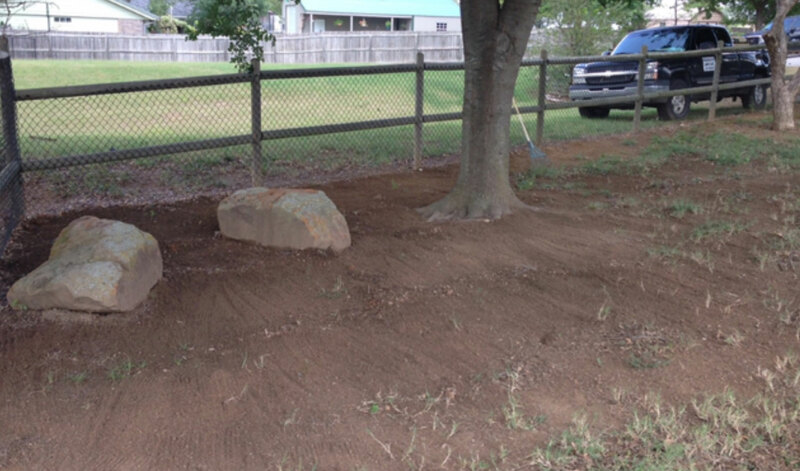 Soil Testing – Soil cores are analyzed to define any corrective actions needed to adjust soil pH to an optimum level.